The Bolingbrook Babbler: Muhammad spotted in Lisle! 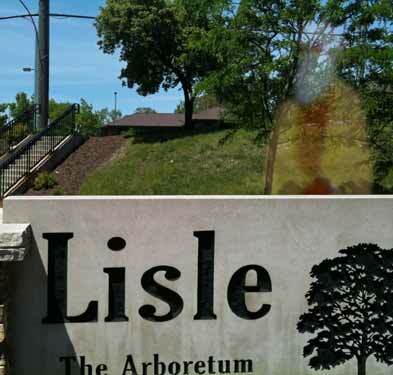 Some residents of Lisle claim to have seen ghostly apparitions of Muhammad ibn ‘Abdullāh, the founder of Islam. Donna Z. Kaplan of Lisle, said she saw a water stain inside the Main Street underpass. As she started to kneel and pray to the image. A man’s voice told her to stand up. She looked up and claims to have seen the translucent figure of Muhammad. Kaplan is in the process of converting to Islam, and is thankful for Muhammad’s guidance. Another witness, who asked to be called Gabriel, said he saw Muhammad after recently converting to Islam. According to Gabriel, Allah has a plan for all sinners who refuse to submit to Him. When certain Muslims attack sinners, they are questioning His plan. Gabriel now insists that he will submit to local law as well as Islamic law. Paula Q. Fly, a Lisle resident and photographer, said that Muhammad appeared before her and insisted that he take pictures. During the photo shoot, Fly interviewed Muhammad. Fly said that Muhammad seem like an “OK person” at first. When she asked about Aisha, whom he married when she was seven, her opinion soured. When asked why Muhammad was appearing in Lisle, he replied that Allah was disappointed that DuPage County Zoning Board of Appeals rejected a planned Islamic center. Muhammad was hoping to educate residents about the real Islam. The Downers Grove Islamic Advocacy Group released a statement saying that if The Babbler ran this article, they would gather all copies, add “Ali” after Muhammad’s name, and draw boxing gloves on any depictions of Muhammad. I plan on having the kids draw Mohammad all over our driveway in sidewalk chalk this Thursday for draw Mohammad day. He's gonna look great with a pink beard! Haha, hilarious article and great "ghost" photo! I dig it.